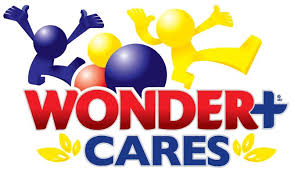 Check out the Wonder+ Cares Healthy Active Kids Grants from Weston which provides up to $15,000 towards increasing access to high-quality after-school programming for children in Kindergarten to Grade 8. The goal of these grants is to increase access to innovative recreational programs that help young Canadians improve their fitness and nutrition levels, connect to their community and develop skills that they will be able to use throughout their lives. Deadline: Friday, February 28th, 2014. P.S. Don’t forget to check in with a Professional Writer to help with proposal preparation and reporting. Hi Funds Fans! Here’s a fund to keep on the radar. BC Rehab is an organization working toward a British Columbia that is inclusive and accessible to all people. They promote projects and initiatives that increase accessibility so that all people — regardless of their physical capabilities — can thrive, participate and contribute in their communities. Through advocacy and fundraising efforts they are able to assist British Columbians who are living with a physical disability. Grants fulfill individual needs, such as personal mobility equipment, when individuals cannot afford to purchase such items on their own. Grants range from $1,000 to $5,000. Deadline: March 7th, 2014. Hey Funds Fans, long time, no see! Other matters have kept me occupied lately but here I am with a backlog of funding opportunities. Since Thanksgiving weekend is coming up in Canada, I wish you all a wonderful time of family, friends, and food. We all have so much to be thankful for. Amen! The Earth Journalism Network is launching its third round of small grants to invest in strategic opportunities for media development around the world. As in previous years, these grants aim first and foremost to build the capacities of local environmental journalism networks, and thus in turn respond to the needs of the grant recipients’ local communities and environments. Generally speaking, the Earth Journalism Grants Fund will be focused on capacity building, but if special opportunities arise, they are open to supporting fellowships and travel grants that support specific story ideas or coverage of key events, so long as these projects involve collaboration between multiple journalists. While content production is an important aspect of any project, applications without some form of network- or capacity-building component will not be considered. As Internews is strictly a media development organization, please avoid any applications rooted in advocacy or political campaigning. Up to US$10,000 available. Deadline: October 15th, 2013. The FCC AgSafety Fund helps charitable and non-profit groups deliver agriculture safety training to farmers and/or their workers across Canada either through direct training or a train the trainer model. The grant is administered through a partnership between Farm Credit Canada (FCC) and the Canadian Agricultural Safety Association (CASA) to provide training to keep farmers, their families, agribusiness operations and employees safe at work. Individuals and/or groups proposing programs or projects with a local or provincial scope are eligible to receive a maximum of $10,000. Applicants proposing programs with a national scope are eligible to receive a maximum of $25,000. Deadline: October 27th, 2013. The International Drawing Competition: Food for a Healthy World is a youth education initiative about food and nutrition. It promotes awareness of the importance of a diversity of nutritious foods for a healthy environment and for healthy people. It also highlights some global challenges relating to food – such as hunger, malnutrition, the food system, and climate change. The competition empowers children and young people with knowledge to make more informed food choices and to be active agents of change in our society. This competition encourages children and young people to create artwork and drawings that express why nutritious foods are important for a healthy world. Prizes of US$500 will be awarded to the winner of each age group (6-10, 11-15 and 16-20 years old), US$200 will be awarded to the runner up of each age group and US$100 will be awarded to the third best drawing of each age group. In addition, Certificates of Recognition, signed by a United Nations official and a special gift to the schools of the winning artworks will be given. Last but not least, the artworks will be used in logos, posters, FAO publications (distributed worldwide), T shirts and activity badges! This international drawing competition is open to ALL children and young people from 6 to 20 years old. Deadline: October 31st, 2013. The United Nations Permanent Forum on Indigenous Issues invites Indigenous organizations or organizations working for indigenous peoples can apply for small grants from the Trust Fund. The Fund is mainly used for small grants projects with a budget for up to US$ 10,000 covering one year’s expenses. Priority will be given to projects that focus on the areas of (i) culture (with a specific focus on indigenous languages); and (ii) the environment (with a specific focus on the respect of the principle of free, prior and informed consent). Deadline: November 1st, 2013. Build-A-Bear Workshop® believes in the teddy bear philosophy of being good people and good bears. In living those values, they provide grants through the Build-A-Bear Workshop Foundation and the Build-A-Bear Workshop Bear Hugs Foundation to 501(c)(3) public charities or registered Canadian charities that support beary special causes, such as children’s health and wellness, animals, and literacy and education. Applications for grants of up to $5,000 each from the Build-A-Bear Workshop Foundation are being accepted until October 31st, 2013. Reblogged from Autism Funding in BC. In my conversations with parents, I have found that disappointingly few parents have opened a Registered Disability Saving Plan (RDSP) for their disabled children. This is troubling because RDSPs are easy to setup and the government is eager to throw free money into the account. Some people believe that withdrawals from the RDSP are taxable (Partly true; Contributions are tax free on withdrawal and only the accumulated income and government grants/bonds are taxable). The important thing is that it will be taxed in the hands of the beneficiary, and therefore more likely to receive significantly lower taxation. An RDSP is an outstanding savings vehicle for your disabled child no matter what your income level. The province of BC has sweetened the pot by exempting RDSP withdrawals from the PWD clawback. The federal government is ready to contribute up to $3,500 per year in grants and up to $1,000 in bonds. In the case of the Disability bond, no contribution is required to receive this amount for low income families. The RDSP is more than just a long term savings plan. It should also be a key element of your estate planning. In case you are dismissing the RDSP as irrelevant, please consider two samples scenarios. Firstly for a low income family opening an RDSP when their child is 4 years old and never contributing a single penny, the account could be worth $239,000 by the time their child is 60 years old! Consider a middle income family ($37,000 to $85,000) contributing $1,500 per year for 20 years. By the time the individual is 60 years old, the account could be worth $1,300,000! We are talking about serious money here. The RDSP.com website has an interesting calculator that you can use to see how your contributions and the government funds accumulate tax free to a sizable amount. It’s worth putting in your personal numbers to see what an RDSP can do for your child. Remember the earlier you start, the more time you have for the gains to accumulate. It’s important to remember that the RDSP is a long term savings plan and will do very little for your short terms needs. There is a rule called the 10 year hold-back. It was slightly modified last year, but the basic idea is that if you take money out of the account within 10 years of receiving a grant or bond, the government will claw their contributions back. Just think of the plan as a long term investment for your child and you will be fine. For more information regarding the RDSP refer to my page RDSP or for a more detailed source refer to RDSP.com. Fundsblogger Note: Please check out the Autism Funding in BC blog and share the link with your networks. A big thanks to blog creator Milburn Drysdale for his time and effort in navigating this issue of funding for autism and taking the time to share what he’s learned.